Our mission is to meet our clients’ unique needs by offering them solutions to their specific transportation concerns. No two clients are alike; Adobe’s experience in the van rental and shuttle business is the best indicator of how our knowledge allows our clients to have the peace of mind they deserve when planning an event. Adobe creates added value through quality, innovation, and partnership. 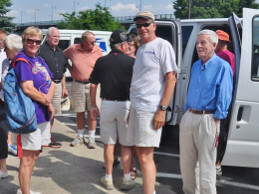 Adobe Transportation has been in the 12 and 15 passenger van shuttle and rental business since 2002. Adobe Transportation has clients from all over Southern Arizona, Mexico and the rest of our universe. With Adobe’s own Mexico Insurance, our clients travel throughout the entire country without stopping at the Border. 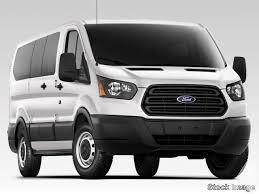 Comfortable & Reliable 15 passenger vans ready for your next road trip or event! Our fleet of vehicles is big enough for any group. Relax & let us drive you around town, Southern Arizona or Mexico. We have a team of highly experienced drivers in the area. Our guests were happy with the transportation to and from our daughter’s wedding. All arrangements were just like we set up. Thank you for keeping our day stress free! Your service and the 15 passenger vans were excellent for our team of 16. We were able to accomplish our missionary work in Mexico. We are very satisfied with everything. Thanks! Great communication. New clean vehicles and wonderful happy drivers. Thank you very much for putting up with our crazy clan!!!! Just utilized Adobe Transportation for shuttle service for an event in Oro Valley. Their professionalism and service was exceptional. The owner, Paul coordinated the transportation and our driver, Allen was on time and professional in every way. The transport van was clean and excellently maintained. I would highly recommend their services for your next event!